I have a few supplies that I simply must have in order to function. Here are my favorites. 1) Notebooks – I put everything in notebooks! Each child has their own notebook, divided by subjects, and I keep all their papers inside – where they are safe from toddler fingers. I love having all our papers in one place with no switching between numerous other books. And they make a wonderful portfolio and record of our studies! 2) Page Protectors – These are my new obsession. I can put things in notebooks, but it’s even better if I slip them in page protectors first. I have all our memory work page protected in our notebook so we can do memory work at mealtime. I have resusable activity pages and game pieces page protected in my notebooks. And I love to page protect handwriting pages so my kids can use wet erase markers to practice writing. 3) Personal Dry Erase Boards – I love these! 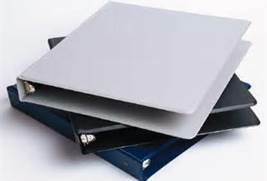 We have several different sizes of dry erase boards. These are used for every subject. I use them for teaching too – as I explain concepts, I draw diagrams, pictures, and write notes for my kids on the boards. We even have boards with handwriting lines. The kids use them for handwriting practice. We have all colors of dry erase markers to make our work fun. 4) Laminator – When you have little people in the house – laminate! I laminate file folder games, activity pages, and anything I want to reuse for each child. Of course, when you laminate you get to write on things with wet erase markers. My kids love these! 5) Sticky Tabs – These are my bookmarks for everything. I have color-coded my kids and use their color of sticky tab to mark their progress through books. You’ll find my little tabs in my calendar, our readers, my teacher’s manuals, and in notebooks. 6) File Folders – My kids enjoy file folder games and lapbooks. They are such a great way to create fun games and displays to use with multiple kids. My favorite aspect of file folder – they are sturdy! We get so much use out of our file folder creations! 7) Canvas Boxes – I use these for everything. I have 2 math boxes, spelling box, and science box for all our manipulatives. I also have boxes for books divided by subject. And I have multiple boxes for all our art supplies! I slide them into our shelves and keep all our stuff put away! And they come in such fun colors! 8) Electrical Tape – I color code all our books! It’s a strange obsession! I have books with colored tape to indicate the corresponding year of Tapestry of Grace. I have readers labelled with white tape so I can quickly find them on my shelves when we need reading practice. And I have read aloud books color coded by year that we read them – yellow for preschool, green for kindergarten…….. This saves so much time when I’m putting books away. And my kids can put books away too – they just slide the right into the correct color-coded section. 9) Hair Clippie – You will never find me homeschooling without a hair clippie. I have one in every desk drawer! With one twist and one clippie I can have a messy bun that keeps baby fingers out of my hair while I work. I have to buy a new pack of clippies every other month because I lost at least one a week! 10) Water Bottle – I have 4 giant water bottles (in pretty colors) and I usually keep one in every room. You’ll never find me without one (or two) bottles nearby. My kids all have color coded waterbottles that they carry around throughout the day. I love that we can eat and drink during school time. No waiting in a line at the water fountain during bathroom break. So, those are my 10 current favorite things that you’ll find in my school room! I can’t school without any of them! Where do you find those colored file folders? 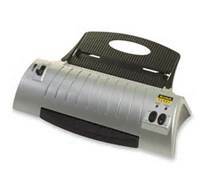 The laminator is still on my wishlist. At this point in my homeschool career, I probably won't ever get one though. LOL Great list!